It’s 2018 and time for a new blog entry! We hope you had a great holiday filled with food, celebrations and good times! With renewed energy after eating too much holiday food we head straight into the new year by talking about what’s new in Raft! During the past year we have put a lot of focus into creating new features and content for the game in order to make it a more interesting and fun experience. More things to build, places to explore above and under the surface, fishes to catch etc. However, we felt that the game lacked a bit in the immersion department. We wanted the world to feel more alive and dynamic. It is the ocean after all. 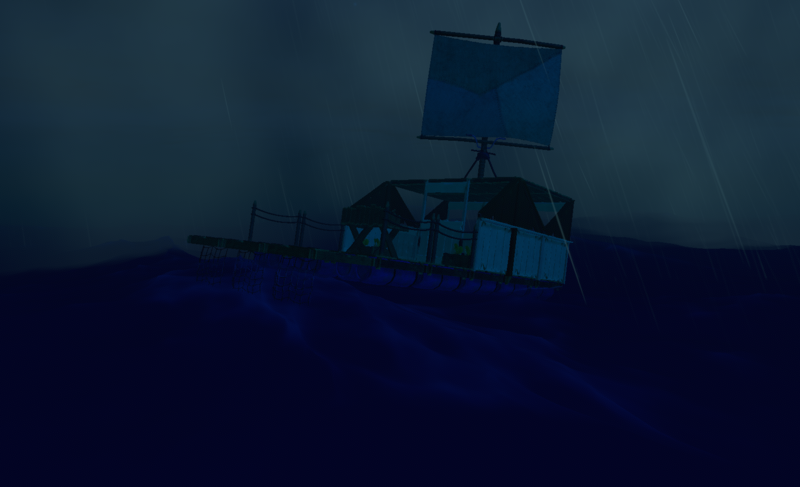 So, to tackle this, we have finally implemented a weather system to allow for different waves, rain and fog. We hope you like it! 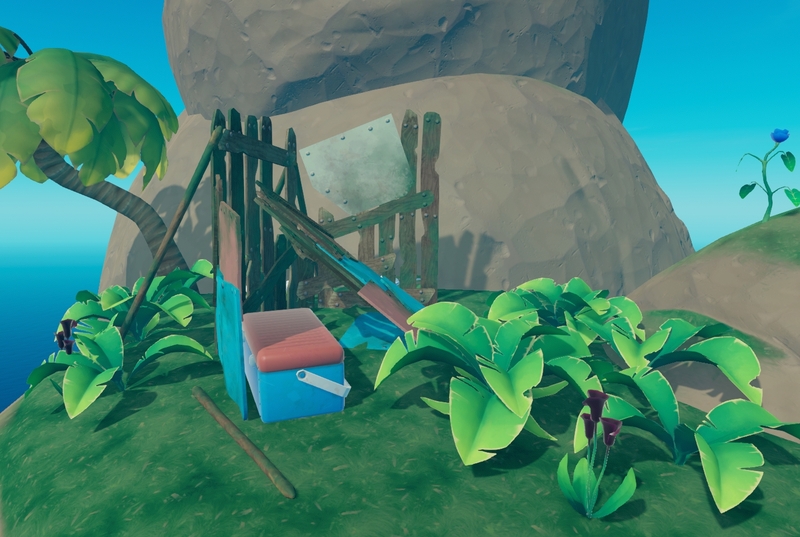 As you explore the islands and reefs, you might come across abandoned huts. They’re quite small and not very well built, but it definitely seems someone has once lived here. While they may contain some good stuff to bring back to the Raft they’re usually a bit more difficult to reach. From watching lets players and seeing your feedback, we’ve seen that those who enjoy the game may find different parts more interesting than others. Some only like the creative aspect of building and find the surviving part less enjoyable, while some want to be more challenged in that department. We of course want you to do what you like most, which is why we’ve added game modes. In Creative mode you can’t die and you don’t have to worry about getting food or water. You also have unlimited resources, allowing you to build and craft with ease. Normal mode is the default mode where you’ll face all the regular challenges. If you die, you can either be rescued by a friend and keep all the stuff you’ve gathered or choose to re-spawn, resulting in the loss of all the items you’re carrying. Hard mode is similar to normal mode in how fast you lose health, hunger and thirst, but you’ll have to be more careful. In Hard mode you can’t re-spawn and will lose all your progress unless a friend helps you. That’s all for this time folks! As always, we hope you’ll have a great weekend! Also, please tell us what you think about these additions! Maybe u guys can make an easy mode => don’t worry about hunger and thirst but for the rest it’s like normal mode (this includes the shark can still harm u). 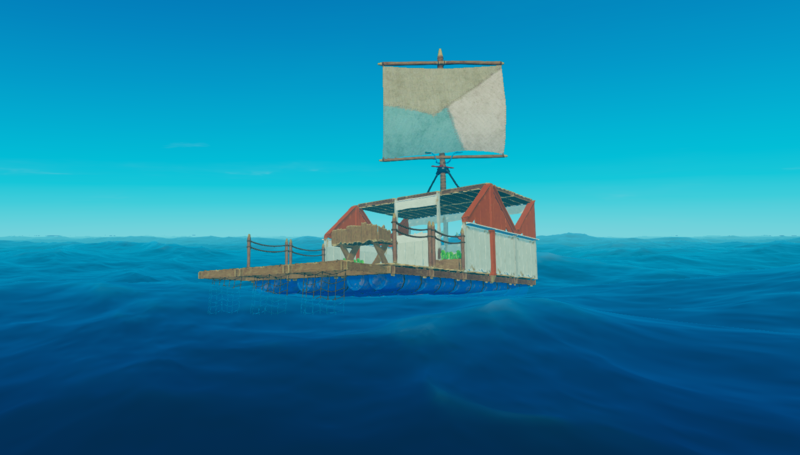 Waves is fun and all, but if you are playing 1st person and you are someone who gets easily seasick, carsick or similar, those people won’t be able to play the game if the raft keeps rocking. So make sure there in a build in option to turn this off. What also might be an idea is a scenematic mode, where u can ‘fly’ around your raft to take pictures of it. Hey I love it!!!!!!!!! I cant Wait to play I want to play bate Pliz!!! If u can give me to play beta in the steam. my User Name is Liavatias75 Steam! Do you think they’d let you get beta just like that? If you pay good money, yeah, but are you thinking for free? Not trying to sound mean. I love it! Played the tech demo from .io and liked it. The weather seems awesome as I like having that twist. Will the weather cause damage to items? The game modes will be fun to have instead of just being thrown into a world, you expect having to do more work or less work based on how you felt. 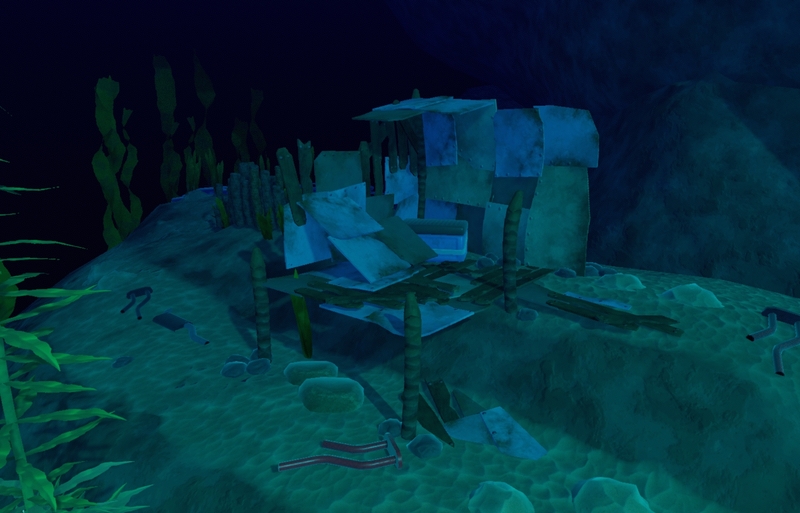 Will you be able to explore under the water to find more materials rather than just on top of the water using a hook and hood? Will there be both a Windows and Linux Launch? I am beyond excited to play this game, especially with friends. I’m always on the lookout for good co-op games, and this looks like it’ll hit the spot! Uwielbiam tę grę .Też uważam że można dodać szczelbę lub łuk . Nie mogę się doczekać gry na Steam . I am ecstatic to see this released! I would pay good money to get this game earlier than others, not begging though because we all would. I think all the thing you are planning will make for a great game, especially the huts!Keep doing what you do. It’s 2018, and when will raft come to steam?? cant wait!! You need surfboards somehow now that you have waves. I will buy the game for sure if you can surf, other wise it looks pretty good! God, I can’t wait for this game to come out. You guys are doing great things. How can I get Beta, this game looks so cool and I’ve been waiting so long to play it! Do you have an estimated release date? My steam username is RAZOR1RDC. No, there is not going to be a specified release date, as the developers would keep that date and they don’t want to rush development. Also, I do not believe there is going to be a beta to the early access version because, well, it’s early access. How small will this box get? I just found the link to play the game in what appears to be an earlier form. So far I am really enjoying it but there isn’t that much for me to do – is there? Any chance you are looking for additional testers? I just can’t wait to dive in and see what you have in store for us. Could you please fix the ridiculous hunger/thirst issue in normal mode. There is noway a regular person in anything near real life would/could eat 20+ potatoes a day and not be near full. Please either reduce the waining speed or increase what fruit and veg give in food. Please give us a harpoon for that rotton mongrel shark … not even to kill him straight away but to be able to tether him and jump him with spears. Something similar even since the bait doesn’t last long when mining the islands. Please up the seed drop rate for water melons etc. Even just a minor twitch of the dial. I’ve seen MANY times where we’ve got no seeds back from planted fruit we pick. 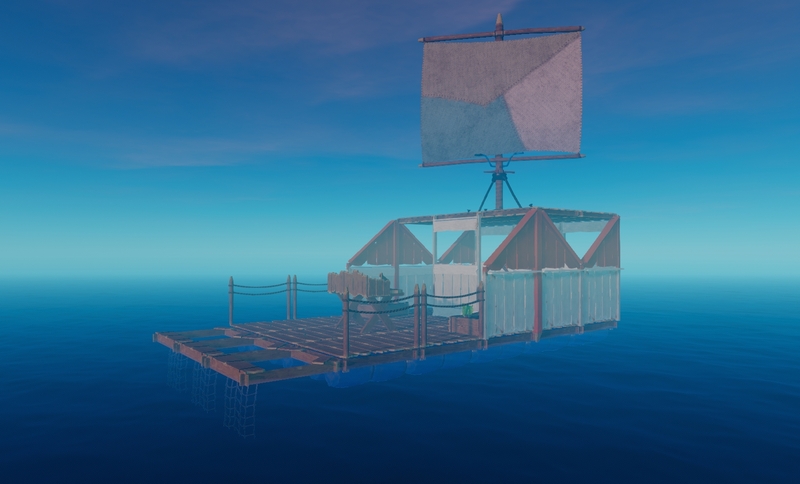 Please allow us a method to spin the raft like we’d be able to in real life using 2+ sails and/or an anchor off a corner with a sail or almost anything,. It’s frustrating to call certain loot like barrels as front/left/right etc when the thing keeps changing direction with the wind. Otherwise you have a game that really has our interest and that’s not an easy feat.